The Unbeatable Squirrel Girl #15 is hardly the first comic to be told from the perspective of an animal sidekick, but it may be the most fun. 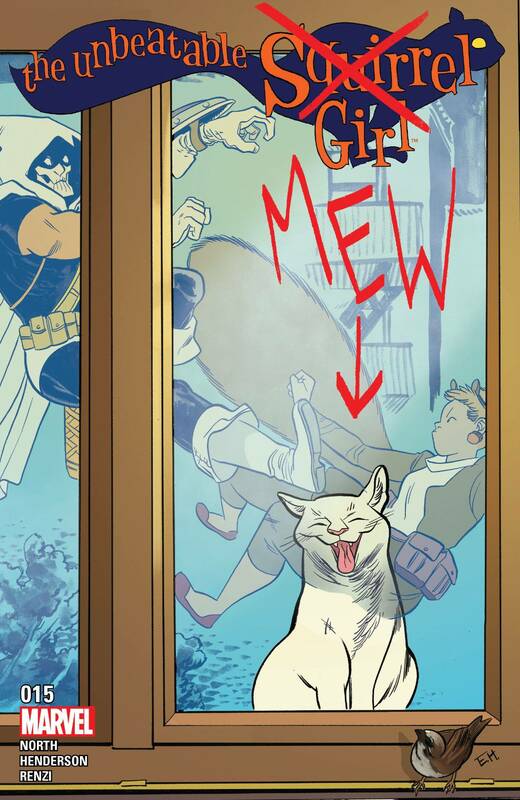 When Squirrel Girl and pals struggle against Taskmaster’s photographic reflexes, roommate Nancy’s cat Mew comes to the rescue (with some help from Hawkeye’s dog Lucky). It’s a delightful story made all the better by the off-kilter panel design that puts the human heroes decidedly in the background. Go read it now, and then write Marvel demanding All-New All-Different Pet Avengers with Mew, Lucky, Tippy-Toe, Carol Danvers’ cat/Flerken Chewie, and whoever else wants to join in the fun. I love Princeless so this was a must-read for me and holy awesome ladies, batman! Okay, wrong comic universe reference but you get me. This comic was everything that I needed right now as everything around us really seems like a dumpster fire that will never stop burning. 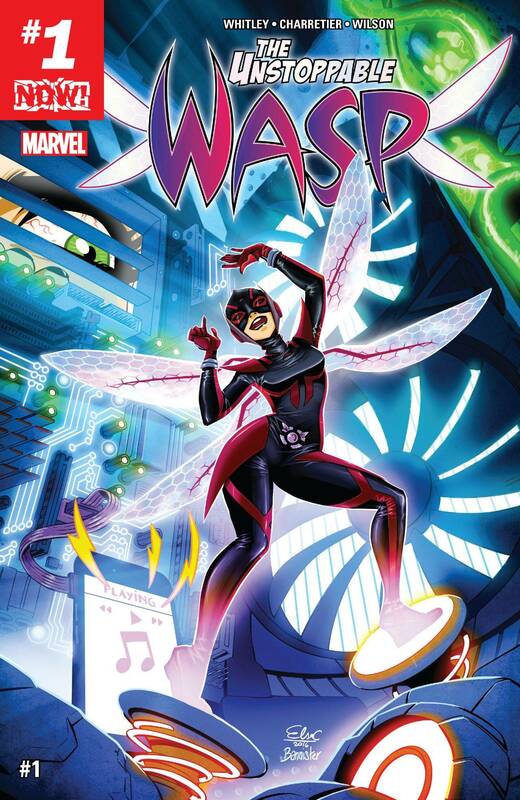 It’s smart, funny, and stuffed with enthusiasm as we’re introduced to a new super-scientist who just happens to be Ant-Man’s daughter! Do yourself a favor and pick up an issue. Spoiler! The 2nd issue is just as great and the guest-starrers are awesome! I can’t believe I have only recently picked up Giant Days. I mean, what was I waiting for? 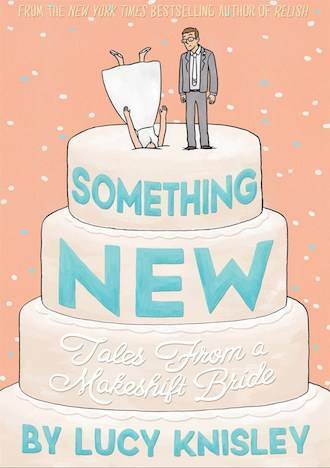 This comic—about three women attending University—is funny, charming, feminist, and British. Nothing really happens but I couldn’t stop reading lines aloud or texting pictures of panels to friends. I am completely taken with Susan, Esther, and Daisy. 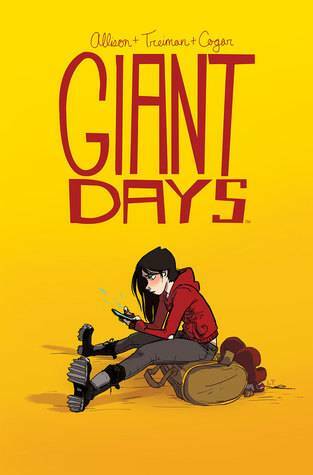 If you, like me two days ago, have not picked up Giant Days, what are you waiting for? I kept hearing about how amazing this was from multiple sources, and they weren’t wrong. This is an epic tale of love triumphing over all obstacles. 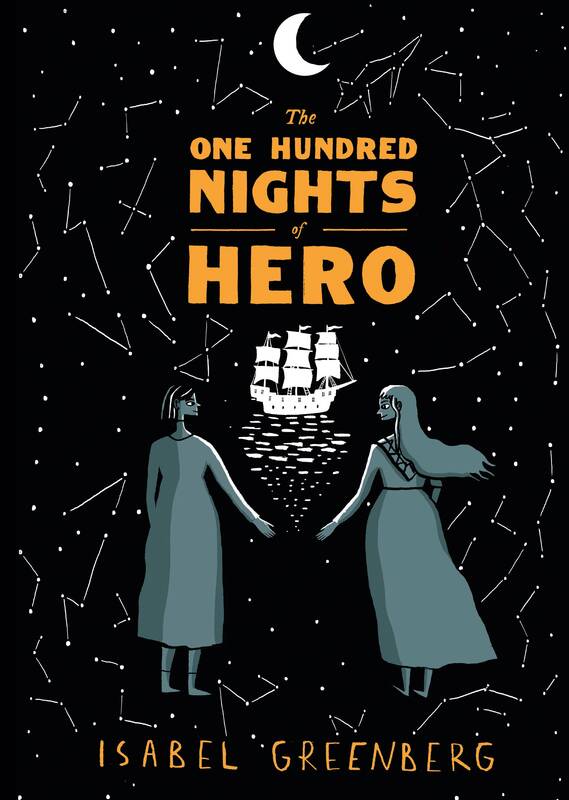 It is a beautiful, fiercely feminist graphic novel you won’t want to put down. 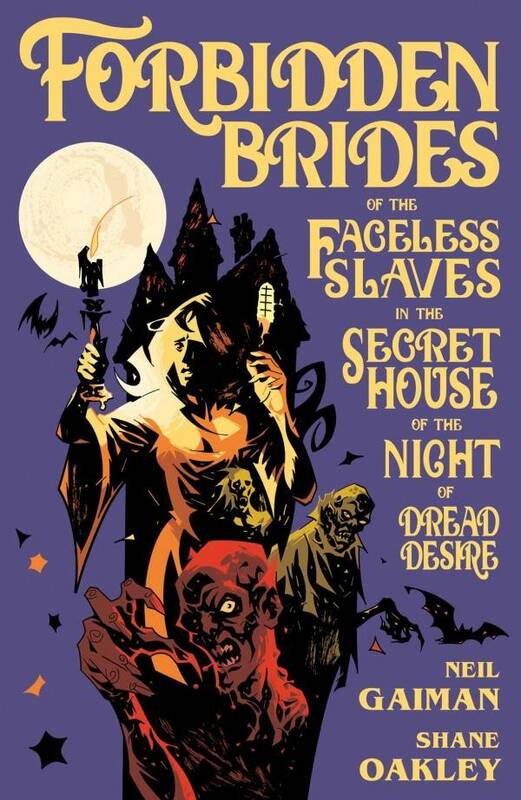 I don’t think anyone can say this title out loud without auditioning for a voice acting gig, and the comic within is every bit as gloriously over-the-top with gothic inspirations. Come for Gaiman’s fun experiment with genre conventions, stay for Oakley’s brilliant renderings with shapes and his and Filardi’s masterful use of color and shadows, shadows everywhere. Parody is the highest form of flattery, but requires all the techniques of the intended target to ring true. This is a slim book, but its oppressive manors and storm-clouded skies will have readers marveling a while. I must say that this book bowled me over. It made my heart bleed to read such a book, about a troubled awakening. 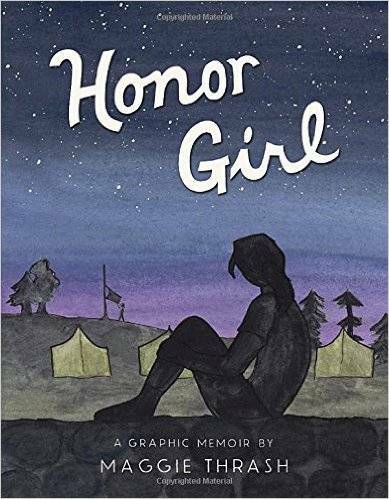 Young Maggie recalls the summer where during camp she fell for another girl, and the consequences that ensued despite her best efforts to hide it. The cutesy, colorful art style successfully narrates a dark story about female identity and sexuality. Also, apparently in summer camp you can learn to fire a rifle. I’ve had this graphic memoir for a good two years now and have finally read it for the first time, which surely won’t be the last. It’s a relief to have it off my TBR, partly because it’s less evidence I am an unreasonable human being who delays things I’ll enjoy for no known reason, but primarily because Alison Bechdel really is as smart and talented as they say. 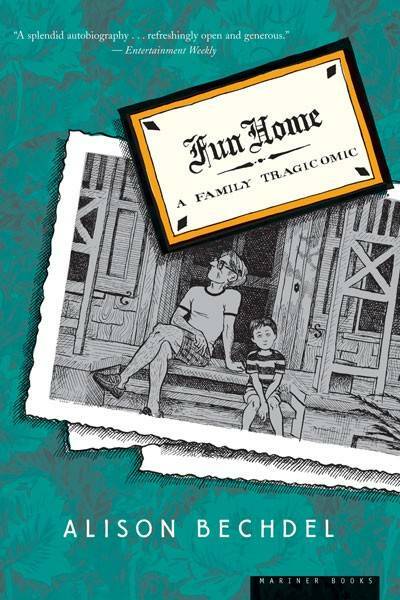 Fun Home is a deep, thoughtful examination of Bechdel’s relationship with her father, who died of a probable suicide and whose affairs with men she finds out about shortly after telling her parents she’s a lesbian. I especially loved the way she interweaved the books that influenced each of them to show how close yet distant they were. It’s a must for fans of memoirs and books about books. I follow Knisley on Instagram, and as a fellow new mother, find her incredibly relatable. I’ve read some of her other books, but this is, by far, the best one, in my opinion. I loved the mix of photos and drawings, and when I finished it, I wanted more. I love webcomics. There’s something about the independence and fluidity of the medium that excites me and makes me feel like I’m in on this secret club. I was already a fan of Natalie Riess through her work on Space Battle Lunchtime, a super fun and queer comic based around a Top/Iron Chef competition, only you know, in space. 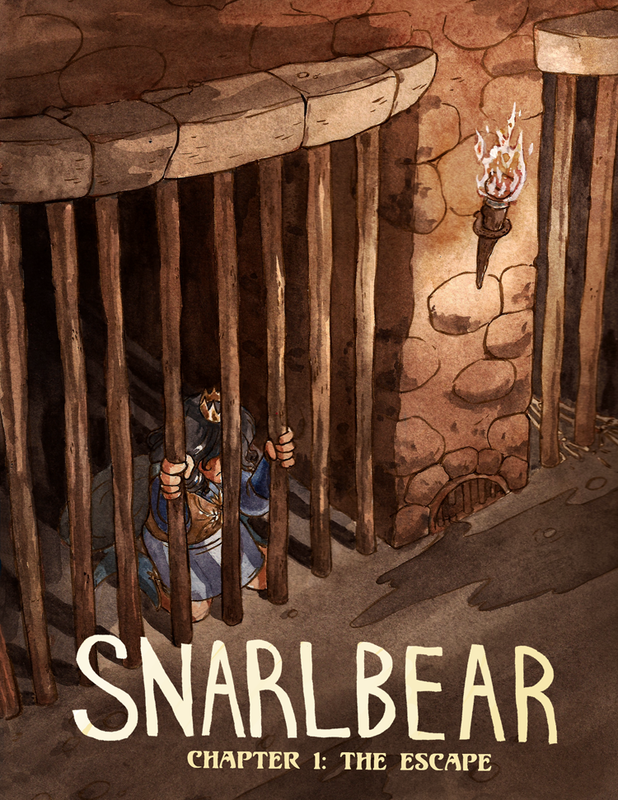 Snarlbear, is an adventure story with a sharp underlying lesson on power, corruption, and what makes people monstrous. Also, there are unicorns. 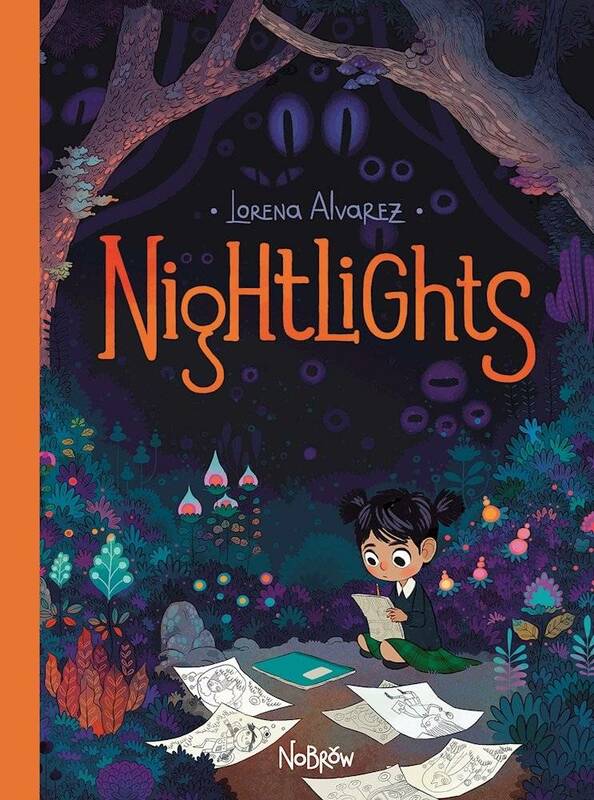 This is a gorgeous comic from Nobrow Press. Alvarez’s art is to die for with sweeping pages of vibrant colours and a rich variety of people, creatures and even foliage. The facial expressions of Sandy and her classmates give me life and I can’t wait to own the physical copy of this fantastical comic. 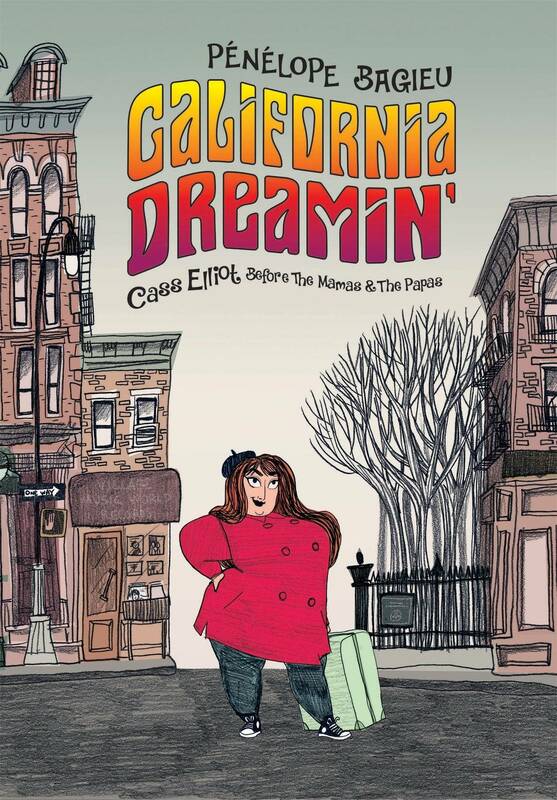 This graphic biography of Cass Elliot’s life before her fame in The Mamas & the Papas is beautifully drawn by French artist Pénélope Bagieu. The pencil illustrations breathe life into the characters and depict Cass in all her strength and independence and will, showing a life that is complicated yet full of dreams and struggles against an industry that wanted her to lose weight. A must-read for anyone who loves biographies of musicians or great translated graphic novels.